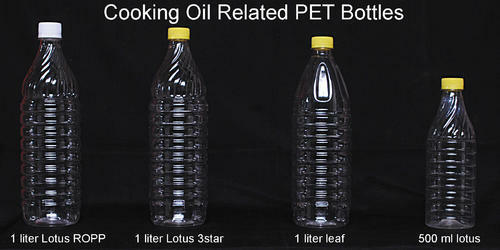 We are engaged in offering a quality approved range of Pet Oil Bottle. Incorporated in the year 2009 at Haridwar (Uttarakhand, India), we “Sampurn Swadeshi Industries” are a Sole Proprietorship firm, engaged in manufacturing and wholesaling an optimum quality PET Bottle, Medicine Bottle, Plastic Jar, Home care product's as well as their concentrate like Black and white Phenyl concentrate, Glass cleaner concentrate, Dishwash concentrate , Handwash compound, Toilet cleaner concentrate, Acid thikhner for toilet cleaner, Pine oil, Emmulsifire, Packaging and Bottle printing also avilable under one roof etc. We provide you a better service for your Band postioning Under the management of “Amit Singh (Manager), we have been able to achieve a reputed name in the industry. We have also our product range Dr.Rhino Toilet cleaner, Dr.Rhino Bathroom cleaner, Dr.Rhino White floor cleaner, Dr.Rhino Medicated Floor cleaner, Goldbro Glass and window cleaner, Multi purpose cleaner, Goldbro Handwash, Goldbro Dishwash liquid in appropriate Rates for support Make in India. We have specilazation in Home care Items. Our Hot products are All kind of PETE and HDPE bottles use in Home care products and their raw material its help you to less your Transportation cost. We have printing now on bottles.